Monday night I attended the ACCC community consultation regarding the proposed buyout of nine Supabarn stores, including the Crace store. While there were many good points and questions raised by all in attendance, I went in with a few localised concerns. These concerns were generally shared by other consumers for their own locations. The ACCC has not yet made a decision, though early speculation is that they will not attempt to block the buyout. As part of the buyout, Coles proposes to sign 20 year leases on all stores. Previously, Coles has also indicated that it intends to spend $15 million on improving the acquired stores. Fortunately, it seems that Coles recognises the value in having a supermarket in locations like Crace, even though the large Gungahlin Marketplace store is only a few minutes away. It certainly doesn’t look like Coles planning on going anywhere any time soon. Crace will keep the convenience of a local supermarket, even if it isn’t the one we are used to. What will happen to local produce not currently available in Coles, for example Poacher’s Pantry wares? 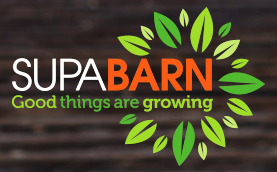 Coles are working with Supabarn to identify local suppliers, and is then working with Supabarn and the suppliers to keep these lines on the shelves. In some cases these lines may even end up in other Coles stores, in Canberra and interstate. Some suppliers attended and spoke at the forum, and were all in support of the buyout, providing a good counter argument to the sea of consumers against it. Coles is a business looking for maximum profit. While these product/produce lines may not be as profitable as others, Coles knows that if consumers aren’t happy with the range, they will go elsewhere. If enough people do this, those "more profitable" lines start looking much worse. More than just a supermarket, Supabarn contributes to our local community and charities – will we lose that local touch? Coles briefly acknowledged the work Supabarn does in this space, and indicated a willingness to continue local engagements, though did not discuss at length. Unconvinced, I reviewed Coles’ current community and charitable participation and was pleasantly surprised. I must admit that for me personally, Supabarn’s efforts are more visible and closer to home, though Coles do plenty of good too. It isn’t surprising really to see that Coles is actually very community minded nationally, but locally as well. The sheer size of Coles allows them to have a bigger bottom line impact on charities, though without public figures for Supabarn, it’s hard to do a fair comparison. Either way, Crace communities and charitable endeavours shouldn’t suffer for this deal. We all know that losing Supabarn is not a great outcome for consumers. Before even considering things like impact on local suppliers and community groups, it simply means less choice. To their credit, it does appear that Coles is going about the buyout with consumer’s interests and concerns firmly in mind. Hopefully the level of quality, service, range and more we have all come to expect of Supabarn is also transferred in the buyout. Regardless of the outcome, the CCA extends its thanks to Supabarn and the Koundouris family for their support to date, and wish them the very best in the future. If anyone has further thoughts, the ACCC is still accepting submissions, though get in quick! An update from ACCC is due on September 10th.